-----CLOSE TO EVERYTHING. 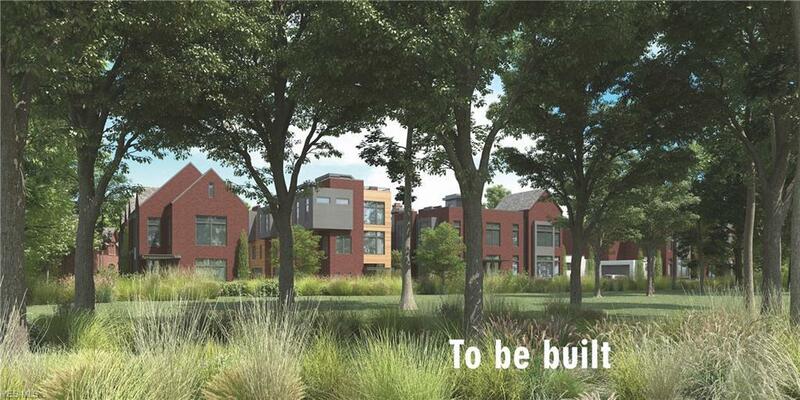 UNLIKE ANYTHING----- Amazing TAX ABATED NEW CONSTRUCTION steps from University Circle, Case Western Reserve University, Cleveland Clinic, University Hospitals, and Little Italy ----- Simple perfection in this modern 3-story townhome. Light filled open concept living space with hardwood floors, 10 foot ceilings, recessed lighting, dining room, and kitchen with island. 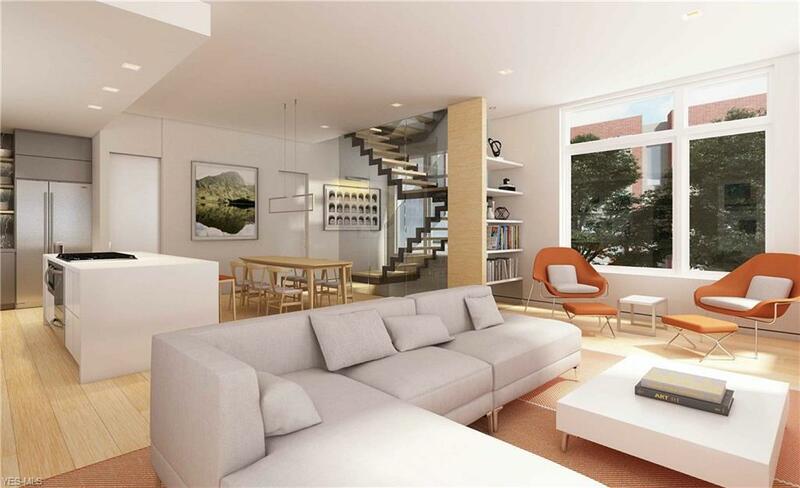 On upper level, Stunning master suite with walk-in closet and elegant bath plus 2nd bed and full bath. Around 2300 square feet of perfectly planned living space, plus private rooftop terrace has bar option and amazing views. 2 car attached garage.----- It is wise to reserve yours now. Only 13 will be built and 6 are already under reservation. YOUR NEW HOME COULD BE COMPLETE BY EARLY 2020. ----- Nestled in a thriving community with rich history, COLLEGE CLUB by WXZ Development and Dimit Architects blends style and elegance in this highly coveted Cleveland Heights location. At the top of the hill and next door to the historic Meade and Garfield designed mansion, these sophisticated new homes are steps from shopping, restaurants, entertainment, work, and play. Walk to Nighttown and other Cedar/Fairmount dining destinations and close to CWRU. 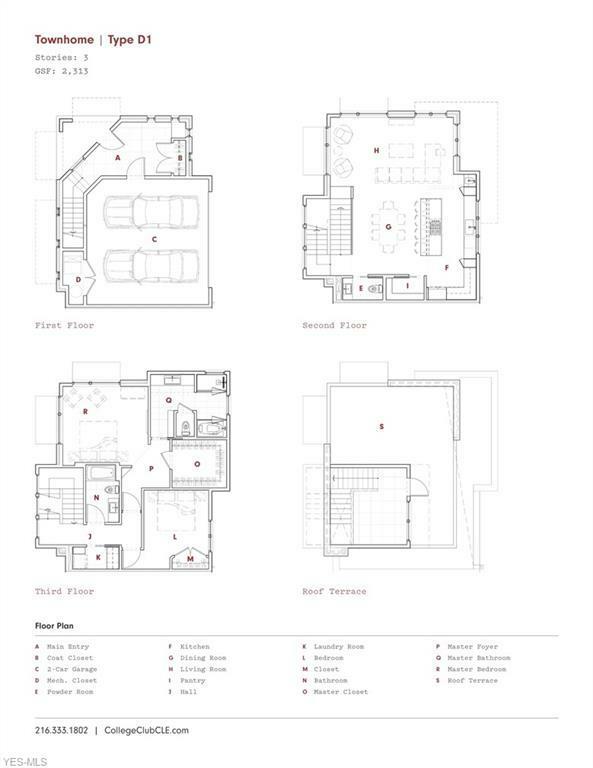 Spectacular customizable floorplans with luxury finishes standard. 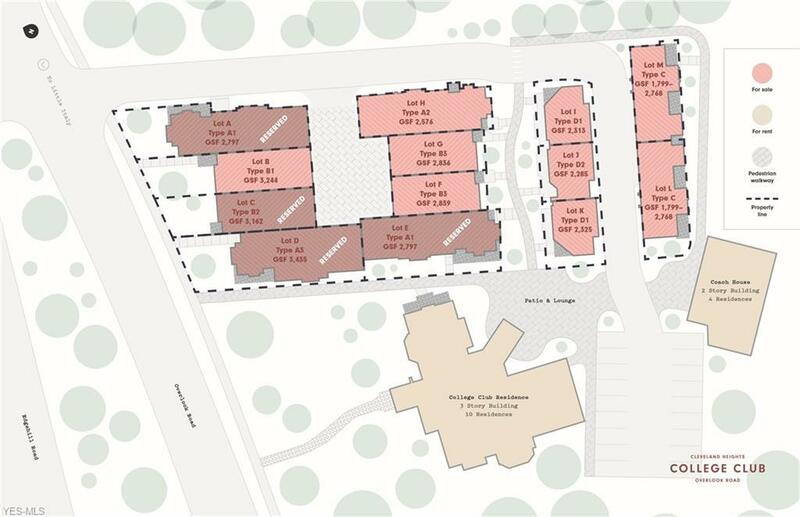 Listed Square Footage and Room Sizes are approximate.